Born and raised in London England, Kene Anusionwu is a former student athlete at North Idaho College and Bethune Cookman University. Upon graduting from Bethune Cookman University, Attorney Anusionwi attended FAMU College of Law, where he earned his Juris Doctorate degree. He is currently a member of the American Bar Association, The Florida Bar, and donates his time and services to The American Civil Liberties Union. From 2015 through 2016, Attorney Anusionwu served as Virgil Hawkins fellow, representing low income clients across The Central Florida area. In 2015, he was acknowledged by Bethune Cookman University as a Recipient of the “Top 40 under 40” graduates from BCU. 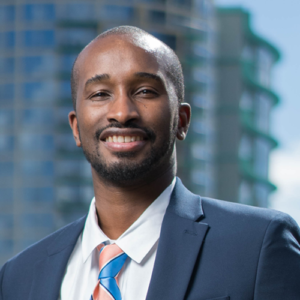 Attorney Anusionwu has served as Adjunct Professor at Bethune Cookman University teaching Criminal Procedure and Employment Law courses from 2016 to 2017. He has also served in the capacity as Adjunct Professor at FAMU College of Law teaching and facilitating a Domestic Violence Workshop. Attorney Anusionwu is Managing Partner and owner of The Law Offices of K.H.A., where he has built a reputation amongst his peers as one of the most aggressive and knowledgeable Family law attorneys in the State of Florida. To this affect, Attorney Anusionwu has received prestigious clients choice awards in 2015 and 2016 from Avvo.